LKO has now started the on-track fieldwork in Sweden. Per Arne went to Gothenburg and Bosse Pellas went to the Stockholm area for the first two surveys. Also, LKO had a meeting with “Transportstyrelsen” (Swedish Traffic Authority) to secure our traffic permit on Swedish Rail tracks. The meeting went well and LKO has hired a representative to help us follow the existing safety policies and to form and improve some new LKO safety procedures. We are dealing with both Swedish Government and European Union rules. A Basler JPEG from LKO Tekink AB’s Mitsubishi L200 laser car. The picture is from Sävenäs, Gothenburg at the survey on April 17th. 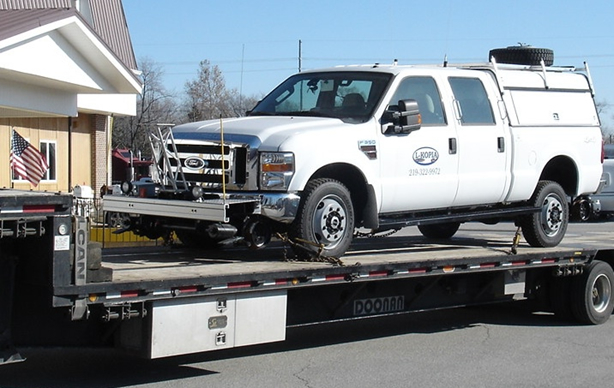 The L-KOPIA 2008, F-350, 350 hp @ 3,000 rpm, 6.4 L V8 Diesel, Gross vehicle weight rating 12,400 lbs., with Harsco 1500 hydraulic Hy-Rail is for lease from May of 2017. The L-KOPIA 2008, F-350, 350 hp @ 3,000 rpm, 6.4 L V8 Diesel, Gross vehicle weight rating 10,100 lbs, with Harsco 1500 hydraulic Hy-Rail for hire from May 2017. 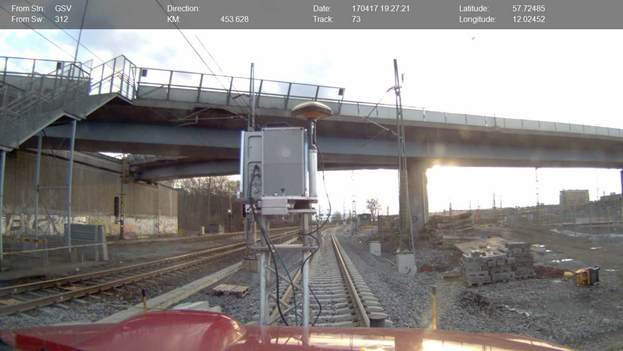 More specifics on the L-KOPIA F-350 Hy-Rail vehicle: is equipped with an aluminum tower to be used with measuring equipment. The L-KOPIA Hy-Rail is also equipped with a 2000 Watt, true sine inverter for 110 Volt AC output, plus one computer for video (including camera) and one computer for other customer software (plus onboard printer). L-KOPIA offers an option to use the L-KOPIA Omni Star DGPS (Trimble) sub meter accuracy system. Prices for Leasing (Customers will need to provide certificate of insurance): Minimum leasing period is 15 days, and estimated price is $760.00/day (plus $60.00/day for GPS).